ROGAINE® is the #1 dermatologist recommended brand clinically proven to boost hair growth by directly targeting hair follicles to reactivate your hair’s growth cycle. 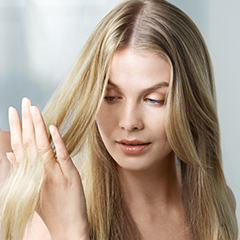 Minoxidil, the active ingredient in ROGAINE®, revives hair follicles that have shrunk due to hereditary hair loss. When used consistently, ROGAINE® will help you grow thicker, fuller hair. ROGAINE® with minoxidil is the ideal product to combat hair loss by reviving your hair follicles so you can safely and effectively experience hair regrowth.